It's about never giving up hope. A story of triumph. Brad Davis (The Player, Chariots of Fire) and John Hurt (Contact, Alien) star in this riveting truestory of a young American's nightmarish experiences in a Turkish prison and his unforgettable journey to freedom. Busted for attempting to smuggle hashish out of Istanbul, American college student Billy Hayes (Davis) is thrown into the city's most brutal jail. After suffering through four years of sadistic torture and inhuman conditions, Billy is about to be released when his parole is denied. 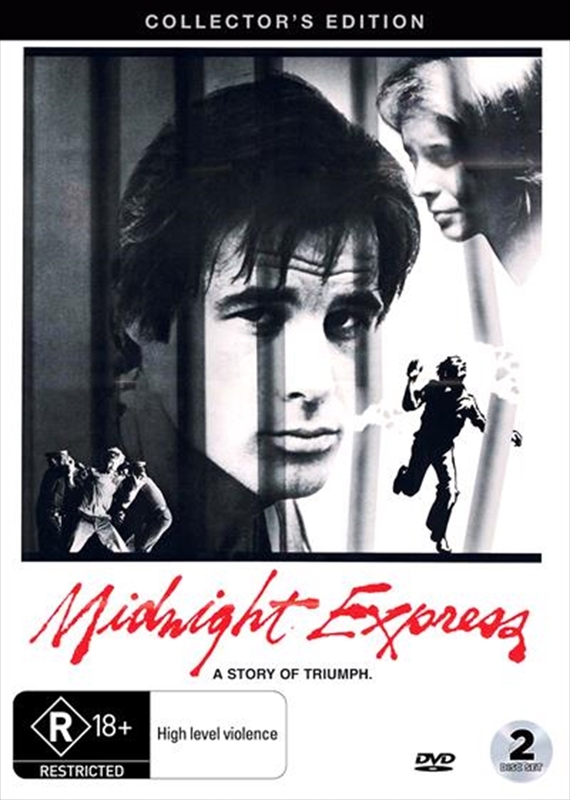 Only his inner courage and the support of a fellow inmate (Hurt) give him the strength to catch the MIDNIGHT EXPRESS ... and escape his living hell.